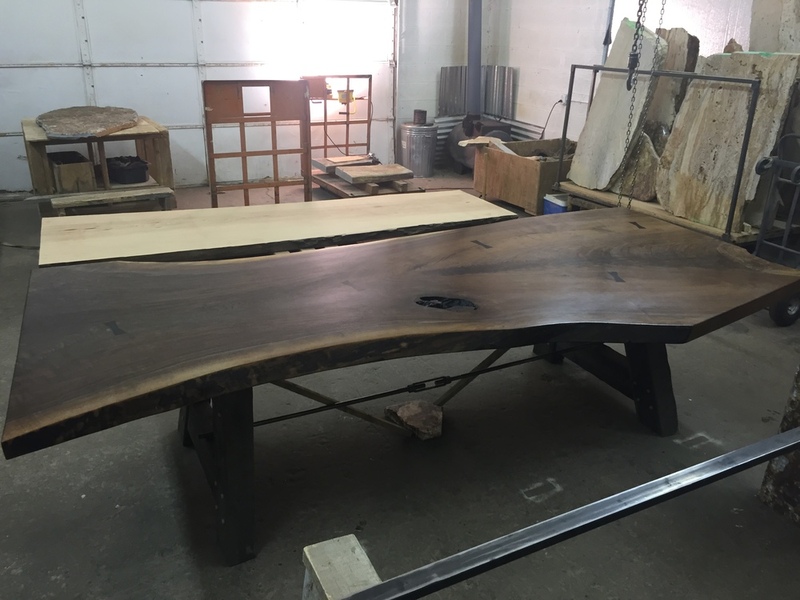 This beautiful custom black walnut live edge table was designed and built by Dustin Dewall of Outlaw Timber & Woodworking in Heber specifically for this house. This table is 10 feet long and close to 5' at it's widest point. Guest love to touch it and I can't blame them. It's a real showpiece.